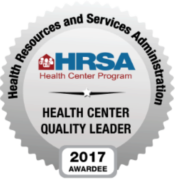 Join UCHCs nationally recognized, award-winning team! We hire the best and the brightest. We’re looking for people who are just as passionate about ensuring that all people have access to exceptional, affordable, high-quality healthcare. Responsible for the integration of behavioral health into primary care with the specific aim of increasing access to care, reducing morbidity of both mental and physical disorders, and strengthening the treatment of mental health disorders in primary care. LCSW will be part of a team focused on integrating behavioral health treatment into primary care. Work directly with nursing, primary care physicians and behavioral health staff treating depression and anxiety in an outpatient collaborative care model. Conduct initial screening, evaluation and diagnosing underlying mental illness. Provide short-term psychotherapeutic methods to children ages 5 and above, adolescents, adults, families and couples with familiarity using supportive therapy, motivational interviewing, PST, CBT. Employ crisis intervention and serve as a consultant to primary care physicians and nursing staff. Participate in daily huddles in family practice, internal medicine and pediatrics. Attend behavioral health team rounds, weekly group supervision and present complex and new cases. Document in EMR in a timely manner. Maintain daily tracking log and submit on a monthly basis. Promote awareness of behavioral health through outreach. Adhere to Social Work Code of Ethics. Adhere to center policies, treating patients, visitors, and co-workers in a professional manner, exercising courtesy and tact. Effectively communicate with patients and others about UCHC services in their area of expertise or responsibility and ensure that concerns, questions or issue reach the right person (s) in UCHC in a timely fashion. Sensitivity to cultural, religious, racial, disability and gender issues. Licensed Clinical Social Worker (LSCW) and or CASAC with a background in substance abuse, to provide a bridge for chronic opioid users in primary care to behavioral health and treatment programs as needed. LCSW will assure primary care physicians identifies patients that have been high utilizers of opioid drugs for chronic non-cancer pain. Patients identified by primary care physicians will then be referred to the specialized LCSW for evaluation to remove any bias. LCSW will evaluate and screen patients utilizing DAST-10 evidence based screening tool to assess risk level. LCSW will counsel and refer patients to specialty treatment services as needed. After counseling, if patient declines referral he/she will be referred back to primary care physician by LCSW. LCSW will verify that the patient understands the referral process. LCSW will monitor patient for a maximum of 3 visits until referral is secured. Must have computer knowledge, Excel, Word, etc…. A licensed physical therapist with the knowledge and skills required for physical therapy evaluations, program planning and implementation of treatment programs according to physician’s prescription as permitted by theNew York State Licensing Board and in accordance with the Code of Ethics of theAmerican Physical Therapy Association. Perform and document a concise initial exam, evaluate data to identify problems and determine a rehab diagnosis prior to intervention according to patient’s diagnosis and dysfunction. Evaluate effects of treatment at various stages and adjust treatments to achieve maximum benefit. Test and measure patient’s strength, motor development and function, sensory perception, functional test/capacity, and respiratory and circulatory efficiency and record data. Develop treatment plans, including long and short term goals, and methods to achieve identified goals. Identify and document anticipated progress and plans for reevaluation. Plan, prepare and carry out individually designed programs of physical treatment to maintain, improve or restore physical functioning, alleviate pain and prevent patient dysfunction. Discharge patient from physical therapy when goals or projected outcomes have been attained or poor patient compliance and provide appropriate follow up care or referrals. Administer treatment involving application of physical agents, using exercise equipment, moist packs, cold laser, biofeedback and ultrasound. Administer therapeutic exercises and manual therapy to help relieve pain, increase patient’s strength, and decrease or prevent physical dysfunction in a safe and effective manner. Instruct patient and family in treatment procedures and appropriate home programs to maintain/enhance patient’s performance in their own environment. Properly document exercise program provided and a follow with the programs. Review physician’s referral and patient’s medical records to help determine diagnosis and physical therapy treatment required. Supervise physical therapist assistants, aides, students and volunteers. Teach physical therapy students as well as other health professions. Implement plan directly or supervise treatment by a physical therapist assistant. Provide information to the patient about the proposed intervention, its material risks and expected benefits and reasonable alternatives. Complete all required documentation for departmental purposes in a timely manner. Direct and supervise supportive personnel, assessing their competence, delegating specific tasks to them and establishing channels of communication. Maintains daily caseload of ascribed number of patients. Maintains department facilities and equipment according to environmental safety and infection control guidelines as set forth by the UCHC and Department of Health. Attend continuing education conferences related to designated job rotation and departmental needs. Demonstrate clinical competence and provide guidance to staff therapists in development of treatment plan and fabrication of splints. Contributes to the development of new specialty program; provides in-service on therapy courses, related articles, and case studies. Attends all staff in-services and meetings. Performs all other duties as directed by supervisor(s) / director. Organizes/manages time and work schedule effectively and efficiently and maintain departmental productivity standard. 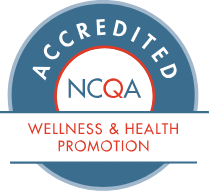 Abides by the professional standards set forth by the New York State Board ofProfessional Services, JCAHO, APTA and other accrediting agencies. Develop constructive and cooperative working relationships with others, and maintaining them over time. Provide information to supervisors, co-workers thru e-mail or in person on things which require necessary attention. Education and/or experience required: A Graduate of an accredited Physical Therapy program (Bachelor, Masters or Doctor in Physical Therapy) is required. License(s) Required: New York State license and current registration. One year experience in physical therapy outpatient setting. Must have experience in evaluating and treating patient in one of thespecialty area such pediatric, pelvic floor dysfunction (men and women),headache, vestibular, early mobilization, and lymphedema. Ability to grow and manage a specialty program. Excellent communication skills to develop and foster patient andreferring physician relationships. Ability to work independently and collaboratively with the team. High energy and ability to take initiative. Provide therapy in accordance with evidence based management. Keep up- to-date technically, and with new treatment rehab tools withability to apply new knowledge safely and effectively. Ability to perform thorough evaluation and provide appropriatetreatment one of the specialty area such pediatric, vestibular, lymphedema,pelvic floor dysfunction (men and women), headache, early mobilization and anyother specialty program. Proficient in the use of computer for basic entry of scheduling andplanning information.